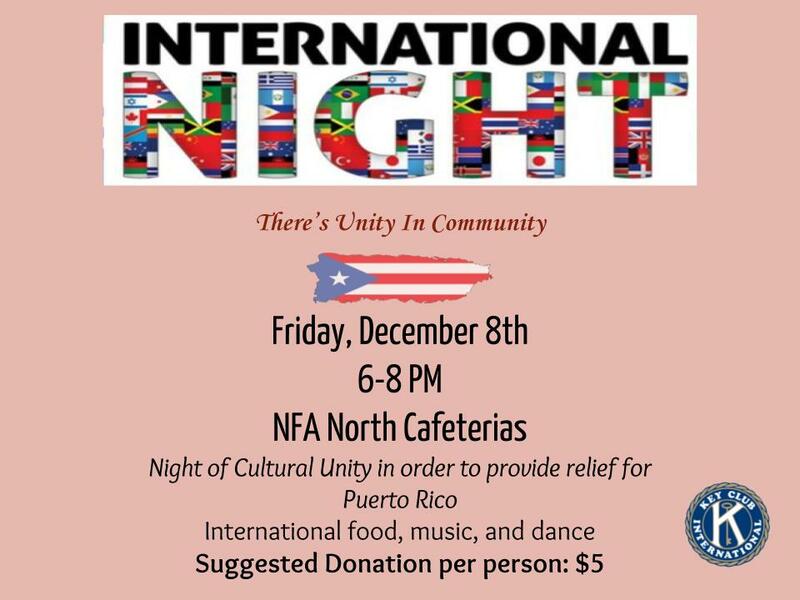 Friday, December 8th from 6pm - 8pm in the NFA North cafeteria. A night of cultural unity in order to provide relief to Puerto Rico. International food, music, and dance. A suggested donation of $5 per person is requested.